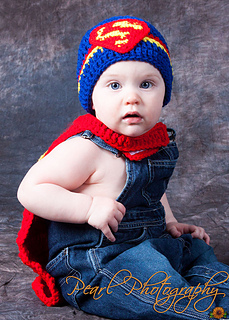 Is there anything more epic than a tiny superman? 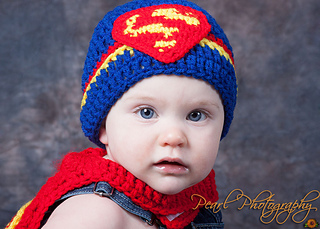 This makes for a perfect photography prop, or Halloween costume, or even Christmas gift to the hero-enthused toddler! 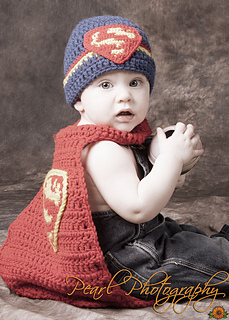 Crochet pattern includes 10 pages of easy to read instructions, steps, and illustrations to design a superman-styled hat, superman-themed logo, and superman-inspired cape. 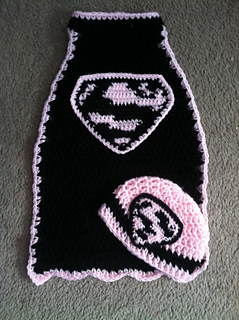 You DO have permission to sell the finished crochet product so long as I get the credit for the design and pattern, and I also request link back to this listing (or my shop), but do not require it. 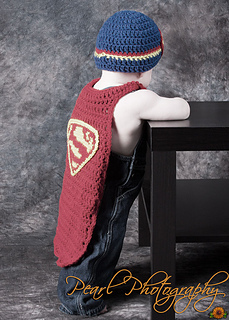 Materials that you will need to provide: Crochet hook sizes J, G, and E, some sort of fastener (I use velcro, you can use buttons, snaps, magnets, or any other method to fasten the neck strap), and canvass needle is optional for sewing in ends and attaching the logos. If you have any questions now or along the way, please feel free to contact me at any time. 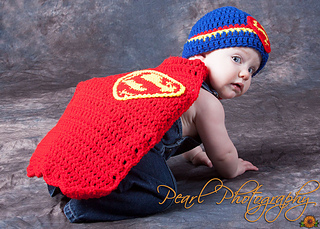 I am in no way affiliate with DC. 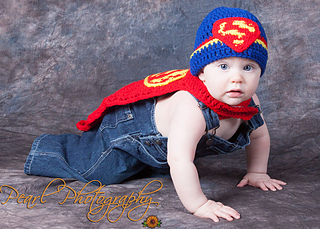 Superman is copyright DC comic books. 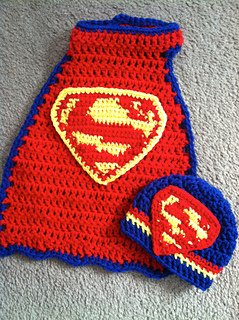 This prop/costume design and pattern is copyright FamilyBugs.